Talk about being productive. Mark Shelton and the rest of his musical entourage continued to hammer out one awesome album after another, year after year. 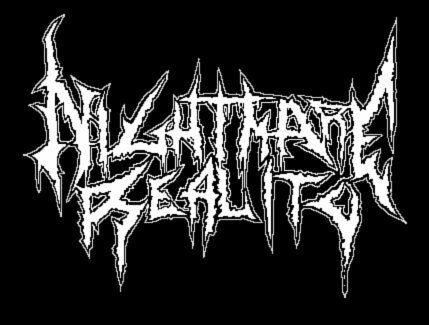 After releasing another terrific release in "The Deluge," it would come time to hit the grind once again, and the result was Manilla Road's six full-length "Mystification," an epic record that carried on where the previous full-length left off. To be honest, there isn't much of a difference as far as the overall sound is concerned between this album and "The Deluge," as both boast thrashy riffs that make the bulk of the rhythms which serve as the ideal backdrop for Shelton's constantly improving vocals and every fantasy-riddle theme that he could conjure up. Once the first song bursts through the speakers (or whatever you use to listen to your music) there's a huge sense of deja vu, as "Haunted Palace" kicks off with basic chords and intense drumming that reminds one of the opening song from "The Deluge," "Dementia" which has an almost exact same sound. The similarities do not stop there, though, as "Spirits of the Dead" blends clean passages and thrashy riffs perfectly to create a very memorable song (Something that this band doesn't lack whatsoever). The title track is another stellar song that takes the listener on a fun ride that starts with the oh-so familiar clean guitar passage and Shelton's instantly recognizable, nasally vocals that are very pleasant sounding on the ears, before it escalates into some thrashier riffs and solos galore. "Valley of Unrest," "Masque of Red Death," and "Death By the Hammer" are all songs that could easily be described as thrash songs, but of course with the signature Manilla Road flavor, which makes the songs much more multi-dimensional as opposed to just another thrashy song. To keep things simple, this album is almost "The Deluge" part II with different lyrical themes and different riffs, but the same spirit and structuring are present. I don't mean this in a negative way, because these guys could have kept releasing material that was just a re-hash of what they did before and I probably would still love it. 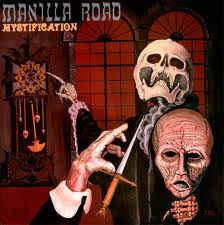 But all of these songs are worth listening to, and some of them I would consider Manilla Road classics. If you're a fan of "The Deluge," or any of the band's earlier metal records, then "Mystification" is a record that should find no problem joining your collection, as this is epic thrashing metal in top form.